Get up to 40% off at the Baby and Toddler World sale this week. Since 2007 Maxi-Cosi Cabriofix Car Seat has been awarded best in test every year by European Consumer Tests. 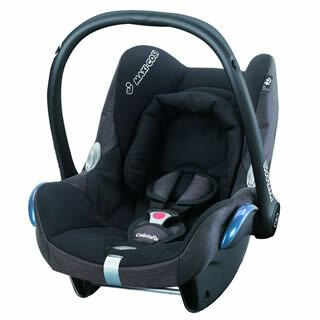 The Maxi-Cosi Cabriofix Black Reflection Car Seat 2014 provides optimal side impact protection with extra support for newborns with the included pillow and head hugger. The infant carrier is lightweight and can be used with a variety of pushchairs to create a comfortable and practical newborn travel system. The Maxi-Cosi Priori Xp Black Reflection Car Seat 2014 easily installs with the cars 3 point safety belt and secures with the belt tensioner. Side impact protection provides optimal safety protection whilst your child sits comfortably in the padded seat with 4 recline positions and adjustable harness height for growing children. 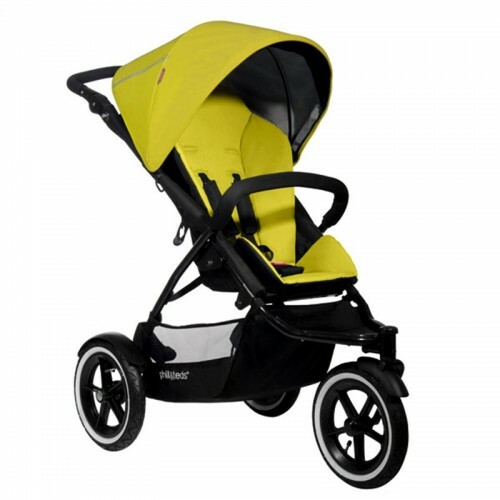 Phil & Teds Navigator Pushchair in Golden Kiwi has a practical multi terrain design making it easy to get out and about in both the city and the countryside. To help with sleep the Chicco Musical Nightlight Goodnight Moon musical cot toy has light effects and music to soothe baby to sleep and the Chicco Rainbow Cube creates a magical sleeping atmsophere with light changing projections and musical melodies. The Kiddicare Nursery event is now on with 20% off Kiddicare nursery furniture until midnight 4 June 2014. 20% discount applies to all Kiddicare, kiddicare.com, Baby Weavers and Kiddicouture cots, cot beds, toddler beds, cribs, wardrobes, dressers, cot top changers and nursing chairs. The following items are excluded from the promotion: Moses baskets, Moses basket stands and all mattresses. The 20% discount will be automatically applied at the in-store till point or online checkout. My 1st Years have some very sweet Easter themed gifts for baby and toddler. Order by Monday 14 April to ensure delivery in time for Easter. Visit the full range of Easter gifts and Baby gifts.